Livingstone City Council (LCC) has today embarked on a 5 days killing of dogs exercise in the district. The dogs to be killed are those that are stray, unregistered and those not confined. This exercise is in accordance with the control of Dogs Act Chapter 247 of the Laws of Zambia which relates to the registration and control of dogs. The tie-up order is being done in an effort to control the dog population and prevent the spread of rabies. 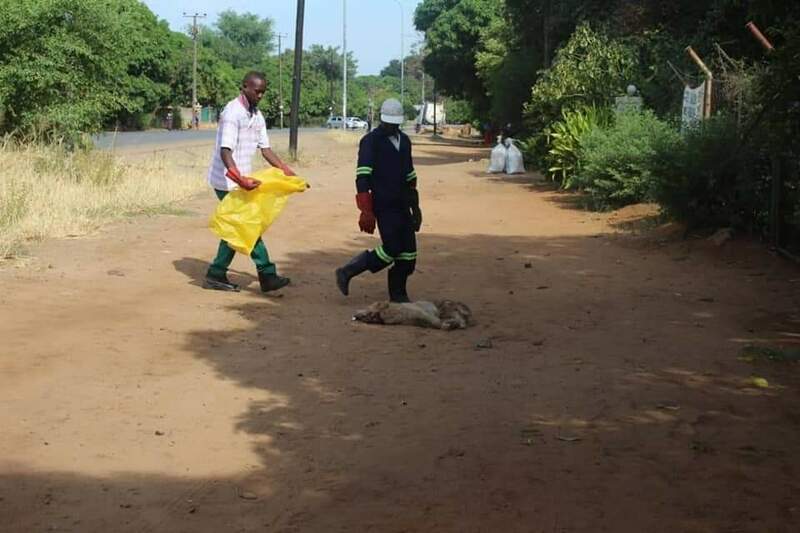 Livingstone district has since recorded about 216 cases of dog bites from October, 2018 to March,2019 with four suspected cases of rabies. Two were confirmed rabies cases and this led to death. We would also like to encourage dog owners to come through to the Council to register their dogs as registration is on going. So far 389 have been registered. Why not tranquilize them, collect them and euthanize the humanely? Next you will hear ati stray bullet hits a resident. The effect that these unregistered dogs have on the community is less than the harm that PF mad cadres are doing to society. So who deserves to be shot at? In as much as I understand the purpose of removing these dogs of the streets, I have serious issues with the ‘how’. 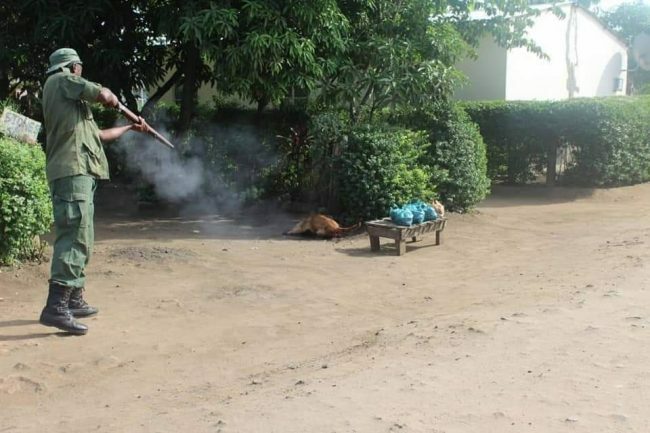 Honestly this day and age Zambia is shooting dogs in public when they are several other humane ways to euthanize these animals. Come on Zambia!.. grow up and catch up with the rest of the civilized world. Bu fontina aikona mein..